When should my newborn be photographed? My favorite time to capture newborn images is sometime between 4 and 14 days of age. Most babies are quite sleepy and still very flexible from being in the womb, which means we can capture those nice curly, snuggly poses. If you’re unable to schedule a session within this time period, don’t worry! We’ll still be able to create a full gallery of beautiful images. I follow each baby’s individual cues including flexibility, positioning, and comfort to ensure your little one’s safety throughout the session. I recommend contacting me to schedule a photo session around the beginning of the third trimester (28 weeks), but please don’t hesitate to contact me at any time. I’ll put your due-date in my calendar and we can schedule a tentative appointment. Since each baby arrives on his or her own timeline, I ask that you let me know when your baby is born so we can change your appointment if we need to (and so I can celebrate along with you!). I have a limit to the number of sessions I schedule per month so I can remain flexible and provide the best experience I possibly can for each client. Where do sessions take place? I have a dedicated studio in my home in Westminster, CO. It’s newly renovated and was specifically designed with newborn photography in mind. There’s a comfortable seating area where you’re still able to see and hear everything that’s happening during the session. You’ll be provided with a privacy screen for breastfeeding sessions and have access to a private restroom. The session fee is $200. The session fee includes the complete process from getting started with your initial consultation to viewing and ordering your prints. Archival prints, digital media, heirloom keepsakes and wall art are available at an additional cost. What kinds of payment options do you accept? Kaylie Ruth Photography is able to process checks, credit cards, cash, or PayPal. Just let me know what works best for you! Why are newborn photo sessions so long? Every session is different just as every baby is different. 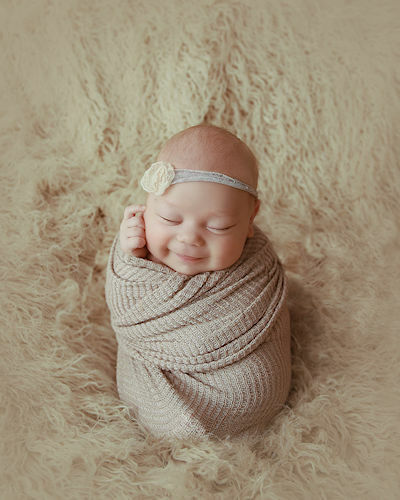 Some newborns will sleep through the whole photoshoot and others…not so much. I have lots of tricks up my sleeve to help comfort your little one in case he/she is a bit fussy. I also allow plenty of time during the session for feeding and changing. Your photoshoot should be a relaxed and enjoyable experience. Feel free to bring a book, catch up on emails and social media, take a nap, or simply sit back and enjoy the session! Can I bring my pet to the session for some family photos? As a courtesy to all of my clients, I maintain a smoke-free and pet-free studio. There are many people with allergies and I want each and every person to have a relaxing and enjoyable experience. There’s very little you’ll need to bring with you, except your sweet newborn! I have a variety of props, along with an ever-growing collection of hats, tiebacks, and different blankets and wraps. If you’d like a particular outfit, blanket, or special object in your photos please feel free to bring it with you! I suggest that you dress in light clothing or layers as the studio is quite warm for baby’s comfort. You’ll have plenty of time during the session to change into a different outfit if you’d like! We’ll talk about wardrobe ideas during your consultation and you’ll also receive a Session Guide that is more specific regarding what to bring. Will family photos be taken during the session? Of course! While your newborn is the main focus of the session, I enjoy capturing the love and emotion between siblings, parents, and babies. If you’re bringing any older siblings with you, I’ll likely take family and sibling photos first (as long as baby is cooperating!) as sessions are quite long and a child’s attention span and patience may not last through the appointment. I would suggest that dad (or another adult) either take older siblings home or to a nearby park after their portion of the session is over. Do you photograph twins or triplets? Absolutely! I’ll photograph each baby individually and then capture images of the babies together. These sessions require that I bring in an assistant to ensure the twin’s or triplet’s safety during the session. There is no extra cost to you! You’ve already purchased two of everything else… it’s my pleasure to absorb this cost for you to ensure that your sweet babies are safe and that you have memories that will last a lifetime. What do I do if one of my family members is sick on the day of the session? As a nurse, I know just how quickly germs can spread! Please let me know as soon as possible if you or your child are sick so we can reschedule to a different date. I will not require an additional deposit or charge a fee for rescheduling under these unavoidable circumstances. In turn, I will inform you if I am ill and need to reschedule the session. Even when illness is not present, I am always extra careful protecting these little ones. I wash my hands before and throughout each session, have hand sanitizer available, and thoroughly launder all blankets, wraps, hats, etc. after each and every session. When do I choose and purchase my photos? At the Viewing and Ordering Appointment, which takes place about 2 weeks after your photo session. We’ll go through all of your images together and I’ll guide you through deciding which kind of artwork is the best choice for your home and family.